By Sein in News on March 18, 2019 . Sultan Kudarat is a 1 st class province in Mindanao. It has 249 barangays in 11 municipalities and 1 component city, and a population of 812,095 (PSA 2015 Census of population). 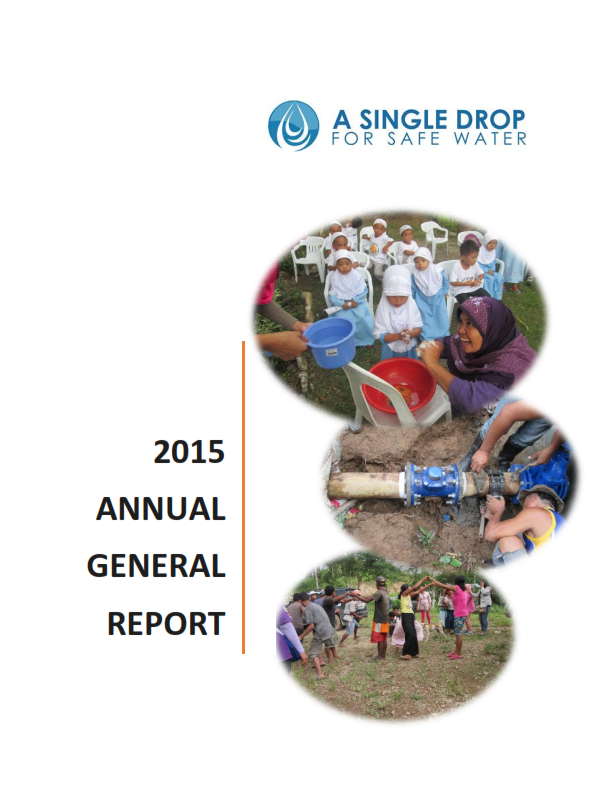 The Department of Health 2016 FHSIS report showed Region XII, to which Sultan Kudarat belongs, having 90% access to Safe Water and only 34.31% households with complete basic Sanitation. On the same vein, the 2017 National Demographic and Health Survey showed only 68.6% of respondents in Region XII have access to improved sanitation. That leaves a gap of 31.4% for unimproved sanitation which included shared, unimproved facility and open defecation. Before the introduction of the Phased approach to Sustainable Sanitation, the LGUs of these coastal municipalities have no clear direction towards development relative to Water, Sanitation and Hygiene. 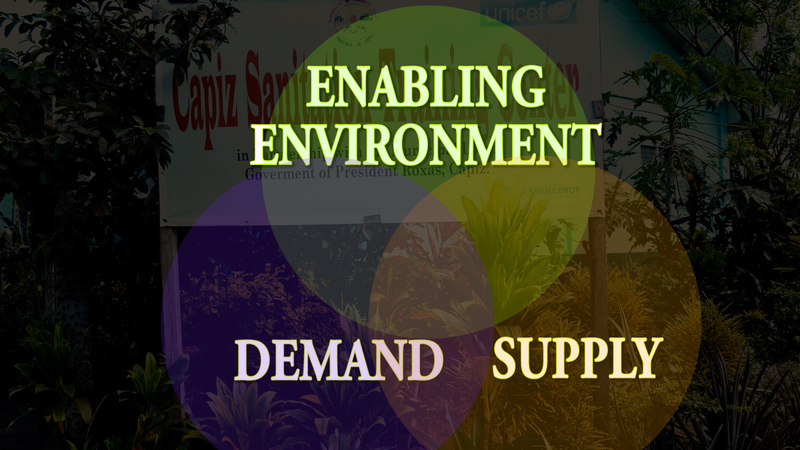 Like most LGUs in the country, WaSH intervention is always construed as infrastructure-focused support, very little or none at all towards behavior change or targeted support to households. 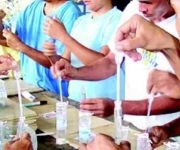 When A Single Drop for Safe Water first introduced PhATSS to the local government officials of Lebak and Kalamansig, the officials accepted and supported the concept. Several capacity-building trainings were given to LGU health implementers particularly in WaSH strategic planning, verification process in ZOD certification and, sanitation marketing. The barangay officials and communities were brought on board and so started the PhATSS fever in these municipalities. The Municipal Mayor advocates for strict implementation of the PhATSS, supported by an SB resolution ensuring its implementation in the barangays. The Sangguniang Bayan allocated a small amount to support the vulnerable households in their material needs for toilet construction. This fund support is through soft loans to targeted households as identified by the rural sanitary inspectors and barangay officials. The RSIs implemented a stricter household monitoring coupled with stronger and more visible hygiene promotion through the 4Ps program and Rural Health Unit services. The LGU of Kalamansig also allocated a small amount as reward for barangays that attained the ZOD status. This reward can be utilized to further improve the WaSH need of the community. The municipalities of Lebak and Kalamansig is host to indigenous peoples group Manobo, Tiruray, and B’laans. As customary with the indigenous peoples, most have nomadic culture. As such, it is challenging for PhATSS implementers to motivate them to build toilets because of this culture. Hygiene education also served as another challenging issue. The lowland communities comprising mostly of Maguindanaons, Visayans and Ilokanos, though not nomadic in nature, also faced the same challenge. At first, some people are simply indifferent to cleanliness, especially in disposal of trash and used diapers. Trash is everywhere and people just don’t care. Nevertheless, the barangay officials never lose hope. The Barangay Chairmen, case in point, of Barangay Salangsang of Lebak and Barangay Datu Wasay of Kalamansig, saw to it that the barangay officials personally visit the households so that they see the real situation and know the needs of the people. The households were spared the burden of going to the barangay hall to ask for support but was visited by barangay officials instead. This way, the people were motivated to participate, appreciated the process by which their need has been addressed. Furthermore, the RSIs, having embraced the vision of PhATSS have fires in their hearts. They started with renewed advocacy for cleanliness, integrating WaSH messages in the family development sessions of the 4Ps, in prenatal consultations, in immunization drives, and continuous monitoring, emphasizing on the negative impact of unimproved WaSH practices. Manobos and Tirurays were verified and declared ZOD. This is even more meaningful. This achievement became a monument of success of enabling environment put in place. The IP communities now don’t want to leave their place because they wouldn’t want to leave or relocate their toilets. The toilet became a reason to stop their nomadic way of life. They started to appreciate and trust the government and became confident to mingle with their Christian neighbors. They learned to improve their WaSH behaviors and therefore no longer feel discriminated. became a way that gave them permanence. The general surroundings were maintained free of scattered trashes and cleanliness became the norm. The lowland communities also could not be left out, the reason being if this can be attained by the IP communities up in the mountains, hardly accessible with lesser access to necessary hardware, how much more they who have relatively easy access to needed support. 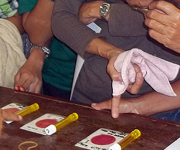 The success of PhATSS in Sultan Kudarat is a testament that empowering the communities to take responsibilities in improving their quality of life and managing their resources and capacities drives development, as communities are transformed from being misinformed skeptic and passive observers to educated participants and advocates for WaSH. Putting in place the enabling environment as what the LGUs of these 2 coastal municipalities ensures sustainability of the program. This is what A Single Drop for Safe Water envisions and advocates for with our communities and partners in the countryside.